KIA'S Sportage has been pivotal in propelling the brand from bit-part player to challenging Holden as Australia's sixth best-selling make. The compact SUV struck a chord with buyers when its third-generation launched in 2010. Kia had pinched ex-Audi designer Peter Schreyer to oversee a striking coupe-esque design for the new Sportage. It was unashamedly urban-specific and had decent space, specification and drive choices. Its market-leading five-year unlimited kilometre warranty was extended to seven years in 2014 - and sales went gangbusters, with a waiting list stretching to six months at times. You can pick up a 2010-16 Sportage for about $10K. Pay a few thousand more for recent examples with some warranty remaining. Choices are petrol or diesel power, manual or auto (few buyers opted for the cheaper three-pedals) and front or on-demand all-wheel drive. 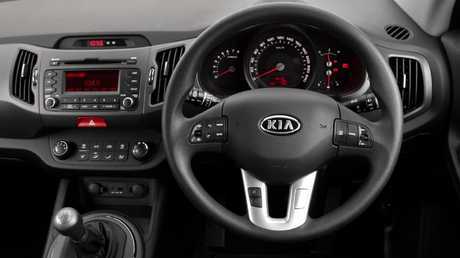 Smaller than the current Sportage, which arrived in early 2016, these Kias have decent (740L) boot space, six airbags and five-star ANCAP safety so are suitable for young families, while three adults can squeeze across the back row at a pinch. Even the entry-level 2WD Si was well specified and is worth a look if you don't need an all-wheel drive, which is heavier, costlier and dearer to fix. 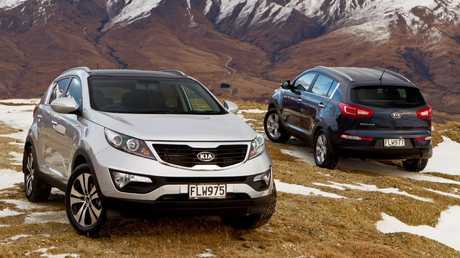 Regular unsealed road or cold climate users should target the latter, remembering the Sportage is a soft-roader. The Si came with a rather gutless 122kW four-cylinder and five-speed manual but most optioned the six-speed auto. It had 17-inch alloys, full-size spare, fog lamps, cruise control with steering wheel controls, keyless entry and AUX/USB audio input. A 130kW 2.4-litre powered the AWD-only SLi, which added chrome grille and door handles, roof rails, rear spoiler, reversing camera in the rear-view mirror, auto headlamps, leather steering wheel and dual-zone climate control. The same engine or a torquey 2.0-litre turbo diesel were the options in the Platinum. The top grade added 18-inch alloys, heated leather seats (power/ventilated for driver), rear parking sensors, push-button start, panoramic sunroof, daytime running lights, auto wipers, chilled glovebox and enhanced audio. In March 2012 the Platinum got a seven-inch screen with built-in satnav and Bluetooth, the set-up appearing as an option on the SLi. The 2.4-litre was dropped in June 2013 with the Series II's arrival, so the SLi and Platinum AWDs had the 2.0-litre petrol or turbo diesel. Bigger changes came in May 2014 for the Series III. A more economical petrol was used, now with a six-speed manual as standard, and there were revised grille, rear lights and alloy wheels, plus softer touch plastics inside. A new front-drive Si Premium grade arrived with 17-inch alloys, daytime running lights, reversing camera and part-leather cabin. On the SLi, the touchscreen with satnav was standard. 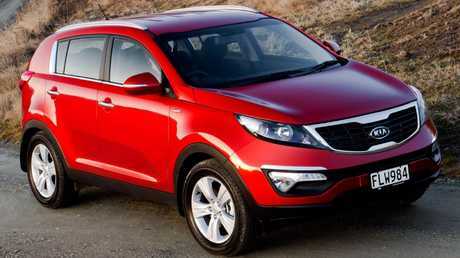 The Sportage is a decent bet, thanks to the long warranty and absence of major common mechanical issues. Look for examples with some warranty in place. Those sold before October 1, 2014, had five years and those after, a cracking seven years. Insist on a full service history. There's little reason it shouldn't be from a Kia dealer, given the reasonable capped price servicing. Some complain about uncomfortable seats. Take a long test drive and check you don't get sore, and ensure you can tolerate the blind spots - the windscreen pillars and side mirrors are main culprits. Ride is comparatively firm thanks to the Sportage's (impressive) local suspension tune, and some owners take issue with high road noise at speed. Listen for any dodgy mechanical sounds: some owners have had rear differential issues - a graunching noise is your red flag. If Bluetooth is important, avoid the earliest models, which lacked it. Test phone pairing and satnav on cars where fitted, plus the aircon, cruise control and power windows. All have been problematic for some owners. If there's evidence of off-road use, be wary. These are not off-roaders, so target city slickers rather than any with underbody damage, body scrapes or accumulated mud or sand. Some Sportages were recalled in January 2014 to check a seat belt pre-tensioner and a small number in August 2017 for a fuel feed hose. The Sportage was affordable and cheap to run. Stylish, well equipped and proving reliable and cheap to own, the Sportage is a great choice for couples or families not needing a larger SUV. The diesel is perkier and more rewarding but if you'll only be driving in town, save money by choosing a 2WD petrol. The 2014 Si Premium with its seven-year warranty and decent spec is my pick if funds allow. Kel Edwards: In our 2011 SLi, the diesel had the power we needed. It was comfortable and easy to drive, always easy to park and performed impressively all-round. The aircon was replaced after several shutdowns. Alan Colley: My 2014 SLi diesel is great for driving in town, the highway or the hills, for towing a trailer of firewood and even for mild off-track work. Economy is excellent, no mechanical problems and regular servicing is reasonable at about $420 a year. Paint on the roof rails peeled and the rear light coating delaminated, sorted by the dealer with no fuss. Darren McMurray: My 2011 Platinum diesel was better than I expected so I updated in 2014 to another one, now with 60,000km. Brilliant highway car - powerful, comfortable, reliable, economical - yet very nimble for inner city living. Marius Sorensen: After you reviewed the Sportage, I bought mine in mid-2016. I could not be happier - with a shade over 20,000km, it hasn't missed a beat. Walter Kruska: We have a late 2014 SLi. We just did a five-week, 5000km road trip without any problems. Fuel economy is very good and the build quality is excellent. The 2.0 overtakes on the highway with ease. David Watts: My 2015 Platinum diesel is the best car I've owned. It handles fine, is well finished, comfortable, quiet and reasonably economical. The controls fall to hand and the GPS/infotainment is easy to operate. It's good value for money and I would buy another one if they maintain their current standard. The third-generation Sportage undercut established rivals with more equipment at entry level, including six airbags and stability control, which was not mandated at the time. Kia sold nearly 28,000 examples, averaging about 6000 a year in 2013-15 - the previous model failed to reach even 2000 annually. Among used listings, two-thirds are petrol. There are slightly fewer front-drivers than AWDs and nine out of 10 are automatics. The most common versions are the Si and the Platinum flagship. The base Si manual from 2010 ($25,990 new) is valued at $11,650. That year's Platinum ($38,990 new) is now worth $17,300. For 2015 models, the base Sportage didn't rise in price and is now valued at $18,600. The Platinum ($41,590 new) is now worth $29,990.